Kneel down on the other side so that your body is facing the bench. 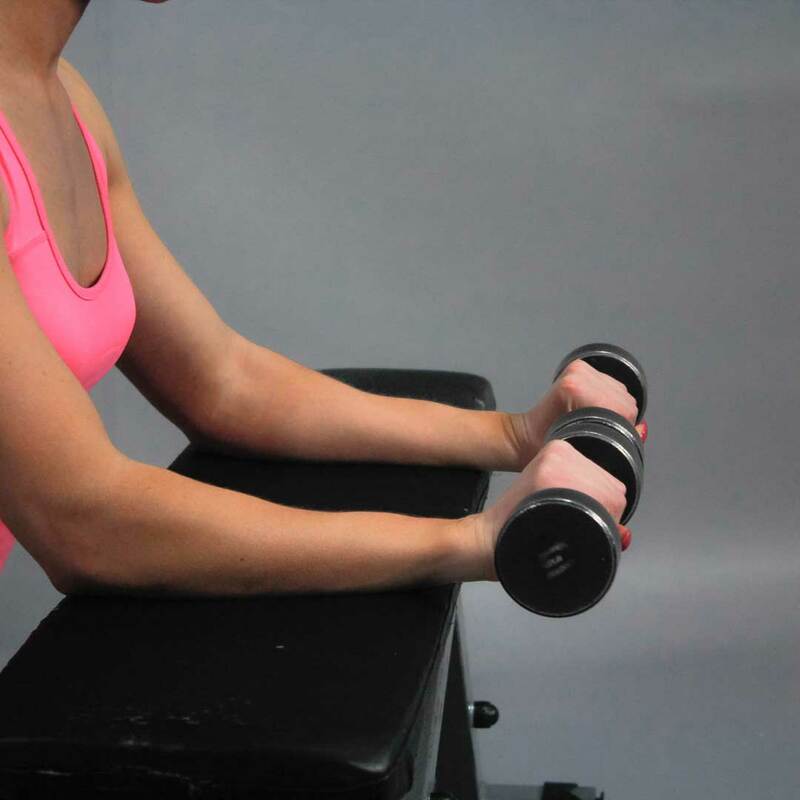 Grab the dumbbells with a pronated grip (palms down) and bring them up so that your forearms are resting against the bench. 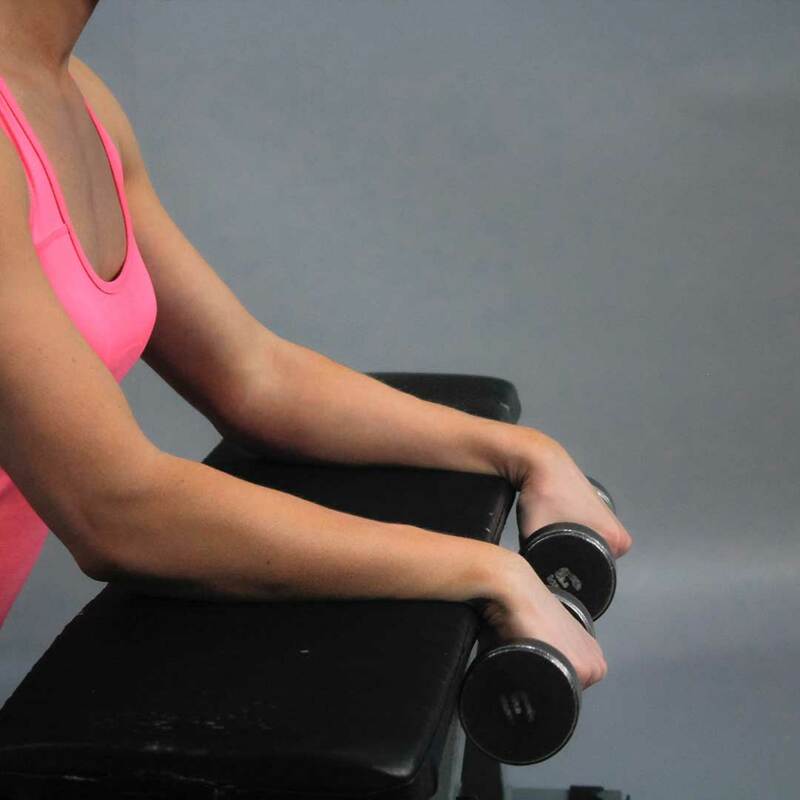 Your wrists should be below the bench. This is your starting position. You can also perform this exercise in sitting position by using your thighs as a resting position for your forearms. Your wrist can hang over your knees and the same movements as mentioned above can be performed. Instead of a dumbbells, you can also use a barbell.